has an entirely new approach to health insurance. We have one goal—to improve the quality of life of our members and physicians. At Clover, we’re excited to speak with all unique thinkers about how to improve the lives of thousands, whether you’ve got prior experience in the healthcare industry or not. 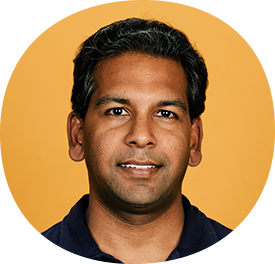 Vivek Garipalli is a serial healthcare entrepreneur and turnaround expert focused on innovation to increase quality healthcare access and improving patient outcomes. In 2008, Vivek founded CarePoint Health, a fully integrated healthcare system in New Jersey. Through his role at CarePoint—whose mission is to serve uninsured and underinsured patient populations—Vivek experienced the misalignment of providers and insurance companies first-hand. Prior to CarePoint, Vivek owned and operated various outpatient facilities. He began his career in finance, holding roles at Credit Suisse First Boston, J.P. Morgan Partners, and Blackstone Group. Kris Gale is a recognized leader in building and scaling engineering teams and was part of the founding engineering team at Yammer. During his six years there as vice president of engineering, he helped grow Yammer’s engineering organization from three people to over 200. Kris also spearheaded the platform’s direction and ensured its ability to scale, culminating in its acquisition by Microsoft in 2012. Kris has been a software developer since 1998 and held positions at companies such as Oversee.net and American Express. 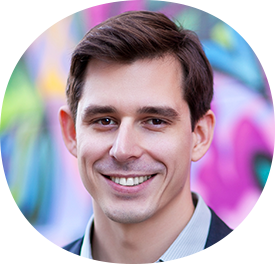 He’s active in the healthcare space and is an advisor to Flatiron Health.